Mindfulness: The Buddha advocated that one should establish mindfulness (satipatthana) in one’s day-to-day life maintaining as much as possible a calm awareness of one’s bodily functions, sensations (feelings), objects of consciousness (thoughts and perceptions), and consciousness itself. Awareness: Awareness is the state or ability to perceive, to feel, or to be conscious of events, objects, or sensory patterns. They are very similar, yet have subtle differences such as being mindful incorporates awareness. In speaking with seniors they often mention fear of falls in their daily life as a major concern yet many, on their own, don’t work on making changes that can help avoid them. Working with seniors I find over and over that the loss of awareness of how they move is typical. A lot of bad mobility habits are created and used in their daily activities. Along with loss of a sense or attitude of play is their loss of body awareness. Most of the over age 75 tell me they have lost their abilities and have stopped trying because they are old. So how do I tie this into fall prevention? Let’s see if any of these sound familiar to you. Teaching Tai Chi inspired movements, created so that anyone can do them, I have found that aging adults see and feel they have more capabilities than they thought. Starting with the simplest of movements and working upward in difficulty, the seniors regain more mobility, awareness of how they move, how it feels to move and the desire to continue. 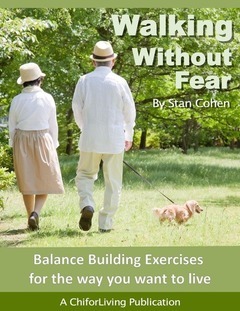 For balance, teaching a rolling step with an upright stance, building strength, and teaching how to sense and control their movements helps them feel safer, and walk safer resulting in fewer falls. The more aware and mindful they become, the better they move and feel both physically and spiritually. « Is some Tai Chi better than none?